We make throwing a party easy by bringing the party to your home, school, or park. We have everything you need to bring the party to your location. 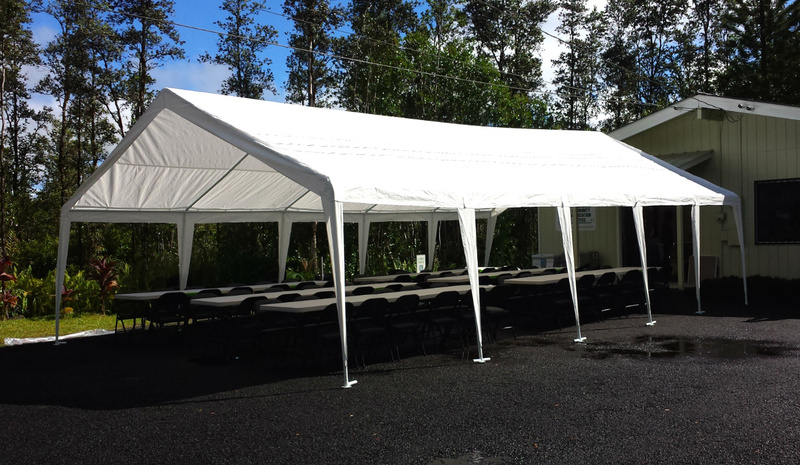 We have three large tents, and a huge assortment of tables, chairs and covers. We do all of the setup, breakdown, recycling, and trash removal, so you can spend time with your guests and enjoy your party. Simply choose the right tent size for your event (13’x26′, 20’x26′, and 20’x40′). 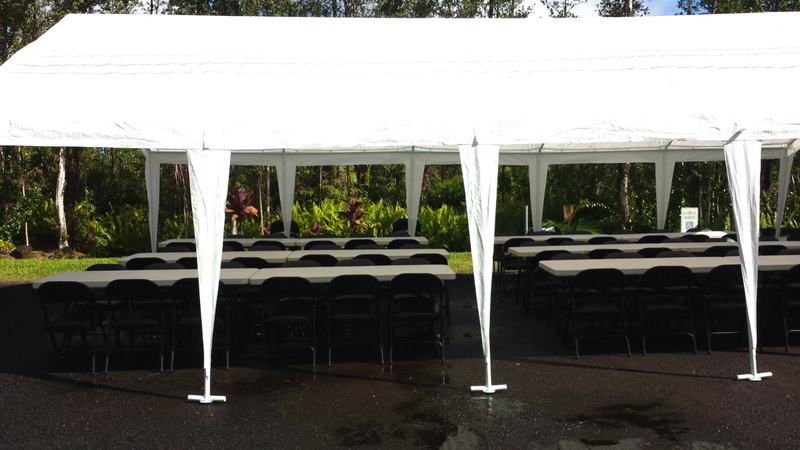 Our largest 20’x40’ tent will seat 75 people. We bring the tent to your location, set it up, and breakdown after the event. In addition, your patronage helps train and employ our disabled employees. 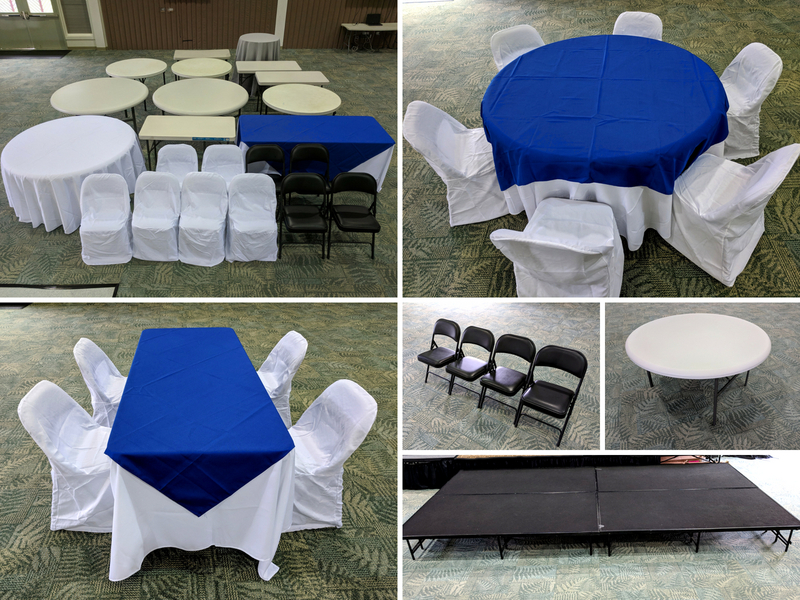 We rent an assortment of chairs, tables, and covers great for any kind of event from parties to weddings to graduations. We deliver and setup the tables and chairs to your desired specifications.